Gum disease is a nasty condition that can lead to oral complications and serious health risks if left untreated. But many people don’t recognise the symptoms. To ensure your smile stays bright and healthy, we break down exactly what gum disease is, how it is treated and how to prevent it ever happening to you. Consider this your need-to-know mini guide. 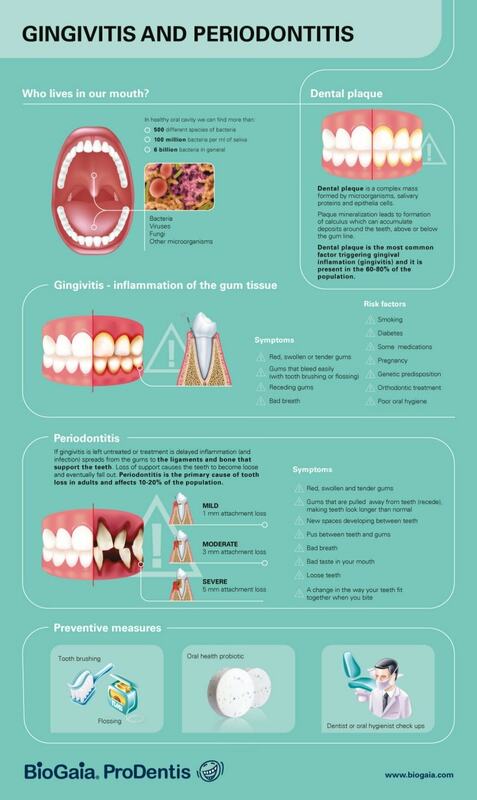 Gum disease (aka gingivitis) is when the gums in the mouth become inflamed and start to bleed. If it is not treated it can develop into periodontal disease (aka periodontitis). Periodontitis is a more severe case of gingivitis where gums can begin to recede to reveal more tooth bone, and abscesses can form on the gums. In more serious instances, the teeth can become loose or, more worryingly, can fall out altogether. And as a result, you’ll get all sorts of dental issues and increase the chance of developing more serious health problems. In this case, urgent dental assistance is required. There are a few symptoms of gum disease that are easy to spot. Firstly, if your gums are sore, swollen or bleeding, it is a clear signal that your mouth is not healthy. And if you experience any of these warning signs you should seek professional dental help from cosmetic dentists such as Smiles by the Sea. Gum disease is primarily caused by the build-up of plaque and tartar around the teeth. This plaque is full of harmful bacteria that can aggravate your gums and cause them to become infected. In the early stages, the build-up of plaque and inflammation of gums can be painless. 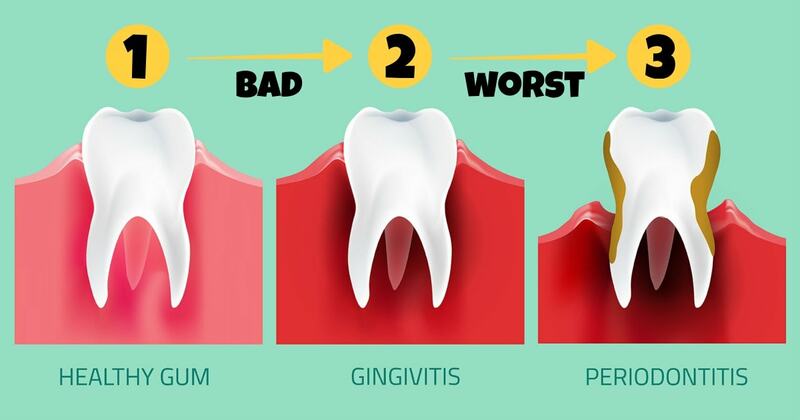 But it is important to be attuned to your mouth’s health as the longer gingivitis goes untreated the more rapidly it will turn into periodontitis. So, if you spit blood or have any usual irritation in your mouth, don’t ignore it. Keep in mind that inflammation and infection of the gums can seriously damage blood vessels. It is therefore mandatory that gum disease is diagnosed as early on as possible, as the health risks are greater than perhaps expected. How Can Gum Disease Be Treated? If you spot any of the above symptoms, from spitting blood to loosened teeth, you should see your dentist to seek treatment. Treating mild cases of gum disease can be as simple and as pain-free as increasing your level of personal oral hygiene: flossing and brushing twice daily for longer periods of time and regular check-ups at the dentist. For more serious cases, your dentist will be able to properly examine your gums and teeth, sometimes through an X-ray, and may help to remove the build-up of plaque and tartar by deep cleaning the teeth and gums with specialist tools. Sometimes, surgery may be necessary – an incentive to reassess your oral hygiene habits. Smokers are more likely to experience plaque or tartar build-up if they don’t keep on top of their oral hygiene. Stress is known to be linked to the development of infection. Not consuming a balanced diet full of nutritional food can cause malnutrition and increase the likelihood of infection. Have a weakened immune system from treatments such as chemotherapy or conditions such as HIV and AIDS. Ultimately, your oral health should be a priority so you don’t have complications (sometimes irreversible) further down the line. Pain isn't something you can easily manage. But these simple tips can help you alleviate or even completely relieve joint pain at home.